We sat down with the HSVS Youth Development Department. 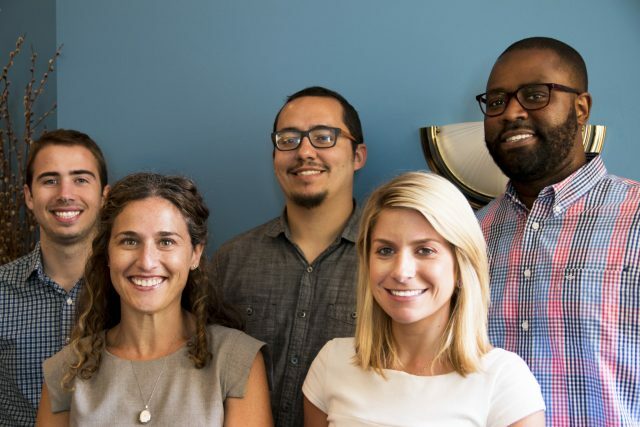 (left to right) Donny Duggan, Permanency Pact Coordinator, Brooke Rosenthal, Vice President of Youth Development & Community Programs, Jason Brunner, Youth Analyst, Lauren Pettiette, Senior Director of Education, and Jermaine Smith, Youth Development Supervisor. What is your experience prior to HSVS? Donny: I was fresh out of college. Before HSVS, I got involved in a group called Children’s Core and it dealt with child welfare. I’ve had about 16 or 17 kids on my caseload. My experience working with youth helped me to transition to this department. I addressed education or medical issues. Basically, any need they would have. Jason: I worked at Starbucks as a shift manager for five years, then was a head teller at Citibank. I’ve been with our agency for a very long time. I was a Youth Advocate and transitioned to Youth Analyst. Preparing Youth for Adulthood (PYA) was mostly workshops for aftercare youth. When I became a Youth Advocate, the focus was on education and as an Analyst, I look at data to assist youth more efficiently. Jermaine: I was at MercyFirst in an overnight position offering direct care to community residents. I was poached directly by the manager, who left to take a position at HSVS. She took me with her. I started as a Recreation Specialist at one of our children’s residences. I just made my one year mark in Youth Development. It’s definitely a different kind of job. When you’re planning events and programs, you experience spurts of nervousness while waiting for things or you spentdmore time planning strategically. Brooke: I was an attorney at Administration for Children’s Services (ACS), working in family court for six years when I transitioned to Director of Strategic Planning, which is where I met and reported to Dawn Saffayeh. 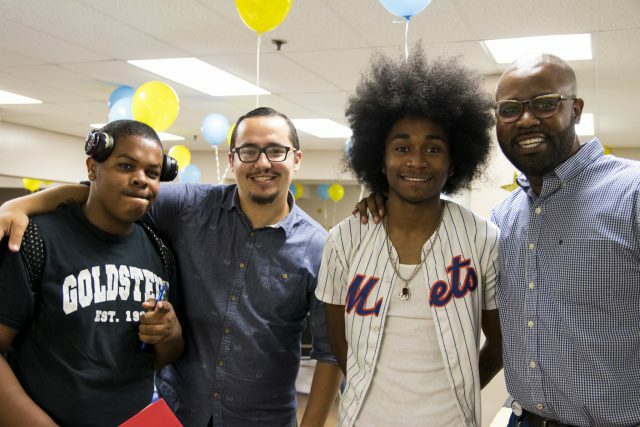 We basically implement strategies to reach youth in care throughout the city. I did that for about two years and then, I was offered the role of Special Counsel at HSVS. Now, I oversee the Youth Development Department. I’ve really had the chance to learn and grow in this position. Lauren: After college, I taught 3rd grade in South Louisiana for 2 years. I also was a core member advisor, who helped train the newest teachers. I went to law school at the University of Miami. I studied public interest law, which involved foster care clinics, educational access for parents and running a tutoring program. Our model of Youth Development is like parenting. You do some things for our scholars, but also teach them independence. What is the department’s primary goal? Brooke: We really want to engage as many youth in foster care as possible through college prep and the American Dream Program (ADP), as well as life skills, like learning how to cook with Donny or financial planning with Jason. We try to make their lives a little better. They are incredible young people and we all feel honored to work with them. We are constantly trying to develop new ideas on how to excite them and keep them coming back for more. Donny: We really just want to enrich their experience in foster care and positively impact their lives. Jason: And it’s about teaching them the skills that they need before they go out on their own, so when they are gone, they don’t have to come back for help. Instead, they can come back and tell us how well they are doing. We are giving them the skills they need to successfully transition to adulthood. So, who came up with the department nickname, YoDe? Jermaine: We needed a cooler name! It’s really just an abbreviation for Youth Development. The more you use it, the more the kids are familiar and are interested in participating. Jason: Like, “YoDe Bucks” is an incentive program. Our youth participating in our workshops can earn dollars that can be traded for trips. It’s a way to engage our kids and make them more accountable. Donny: “Mind for Money,” Jason’s financial literacy workshop, and “Master Chef” were very popular. For “Master Chef,” I gave them a tour of the kitchen. We reviewed some food prep and recipes, then allowed the kids to cook for themselves. What kinds of programs have you developed in recent years? Brooke: The American Dream Program (ADP) was already in place prior to the affiliation. It’s something that our staff is really proud of. We realized how important it was and worked hard to revamp the program to touch more lives. We worked hard to get it to a place where we can serve fifty students in college. Our Permanency Pact Program meets a need for our young people, who lacked connections with adults. We were fortunate to receive funding from Redlich Horowitz to get that program started. Jermaine has revolutionized our programs. YoDe is now a “cool place to go.” Jason has so much historical knowledge of the agency and has been our go-to person for design and analytics. What have been your biggest victories and challenges? Jermaine: We have to use trial and error to engage our youth. It makes us really think about what the youth need and ask what they’d like to see more of. Brooke: Yes, interest changes quickly! Jermaine: We have to think outside of the box. Luckily, we have the latitude to be creative. Everyone in this department has the opportunity to lead. Brooke: And yet, that’s also where our victory lies. The relationship we’ve built with these kids. Our kids trust us and the team. That kind of foundation and trust has developed to the point where Jermaine can say to one of our youth,”You need to be mindful of your money. You should come to this workshop.” And they’ll come! You can’t do that without trust. Jason: It’s really having that open door. Allowing them to feel comfortable enough to come to you with questions. Then, they start to spread the word among their peers. As a result, we’re reaching youth that wouldn’t normally interact with the administration. Lauren: And it’s really cool when the kids want to engage with the entire team here. We each bring different skills to the table and together, we can offer complementary advice. How are HSVS YoDe programs different from other agencies’ programs? Jason: Unlike other agencies, we are less about teaching and more about giving them experiences. We’ll jump right in and talk about how to speak to police, for example. That kind of dialogue gets them to open up and ask questions. Less talking, more questions and discussion. Brooke: Which is why we’ve been able to build a sense of community among our youth. We’re here to help support them and create a space that is safe and comfortable. This is their agency. This is their home. Brooke: It is very collaborative and fun. The most creative team I’ve been a part of. And the most athletic of the HSVS departments! First time tug of war champs? HSVS retreat? Jason: (laughing) That’s right! We’re sort of like a work family. We have all grown together and I know I’ve picked up a lot of things from everyone in this room. Lauren: And no matter what, we are all are here for the kids. That’s the tie that binds us all together. Why do you personally care about kids and families? Jason: We just want to help the youth. You can’t let whatever happen to you be your downfall. You will stumble among the way, but if you push yourself hard enough, you can do anything. So, what’s the future of YoDe? Lauren: We want to see all fifty graduate college. Our goal is to have 100 scholars by 2020. We also want all of our young people to leave foster care with a supportive figure in their lives. 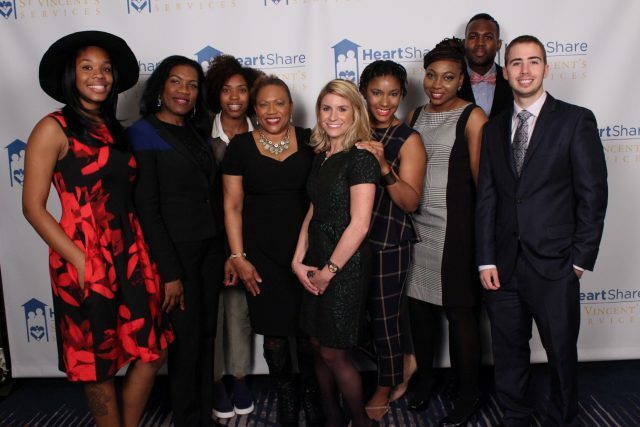 To learn more about Youth Developtment, call (718)-422-2339 or email Lauren.Pettiette@heartshare.org.